This weekend, Clemson advanced to the college football national championship for the second straight year. 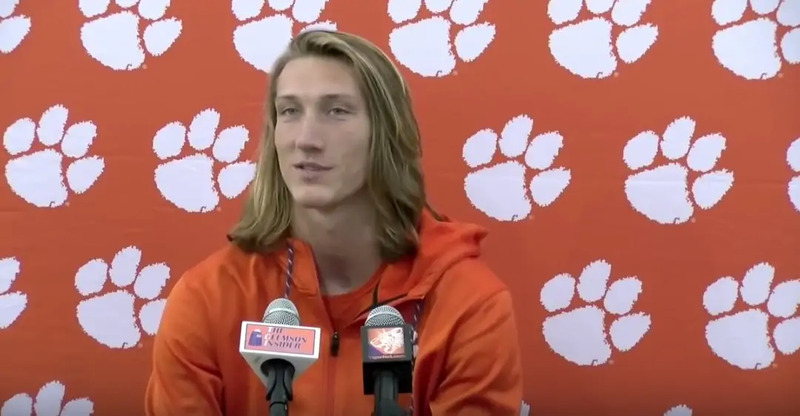 And, one of this year’s biggest storylines for the team was freshman quarterback Trevor Lawrence. The 19-year-old Georgia native was one of the most highly-recruited players in the country when he was in high school. The expectations—and the pressure—could not have been higher going to a top-ranked college. Even though he wasn’t even the starter when the season began, Lawrence’s chill demeanor and humble attitude helped lead the team back to the biggest game. However, as Lawrence tells it, football is far from the biggest thing in his life: family and faith both rank higher. The brief video is a powerful watch.